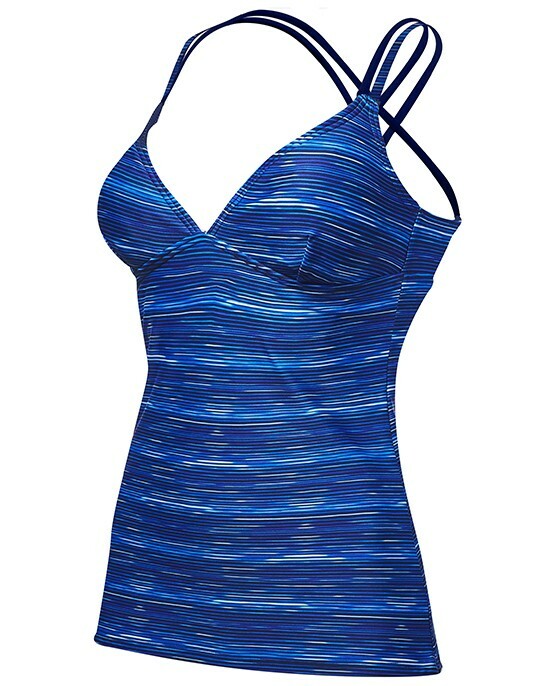 Designed for a dynamic lifestyle, the TYR Women's Brooke Tank - Cyprus caters to adventurists both in and out of the water. 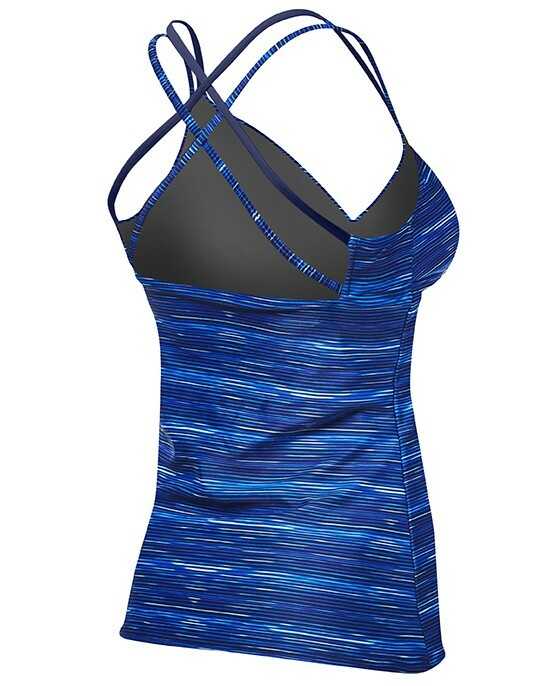 From the paddleboard to the yoga mat, the TTCYK7AH features an ideal blend of comfort and function. With a feminine silhouette that includes thin, dual straps that cross in back, a triangle front and removable contour cups, this tank is inspired by women who aren't afraid to sweat it out. Created with UPF 50+ technology, the fully lined TTCYK7AH also ensures sun safety for every outdoor activity. Breathable Durafast Lite fabric, power mesh control and 360 degree range of motion guarantee a sleek fit and unrestricted movement.